The way you care for your skin in between treatments will determine how long your results last. Dr. Kaado is proud to offer these exclusive skin care lines to his patients. 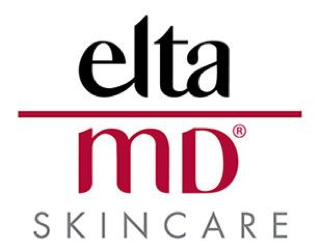 A favorite among dermatologists and skincare professionals, Elta MD offers a line of deep yet gentle cleansers, rich moisturizers, and sun care to protect your skin from the harsh ultraviolet rays of the sun. Since many of the visible signs of aging are often caused by sun exposure, Elta MD believes the best treatment for wrinkles and sun damage is preventive. Investing in good quality skin and sun care can be the most important step in maintaining a youthful complexion. Elta MD offers superior skincare products without harsh ingredients that cause irritation, making their line of products appropriate for everyone, even those with the most sensitive skin. 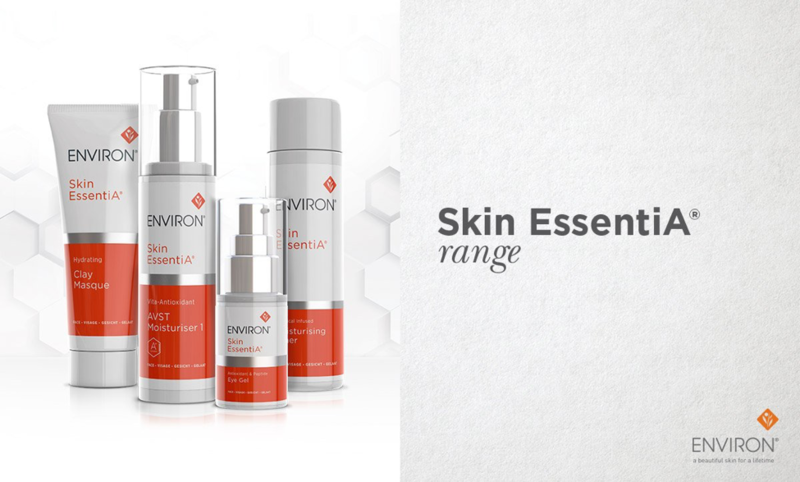 Developed by Dr. Des Fernandes and beloved by skincare professionals around the globe, Environ Skin Care was built on the principles of science, beauty, and care. Ranked as one of the five top plastic surgeons in the world, Dr. Des Fernandes believes that your skin has a life, and Vitamin A provides the oxygen it needs to be healthy and vibrant. Their unique Vitamin Step Up system allows your skin to gradually adjust to increasing amounts of Vitamin A and other potent ingredients so it can receive the nourishment it needs to produce that coveted youthful glow. PFB Vanish has created a line of products designed relieve the irritation caused by ingrown hairs. Pseudo Folliculitis Barbae, or PFB, is a condition which causes hair to grow in a screw shaped pattern, burrowing itself into the skin resulting in a hard, painful bump that resembles a pimple. PFB Vanish contains powerful acids and exfoliants which penetrate the skin, lifting ingrown hairs above the surface of the skin, and removing these bumps without causing further irritation. At the same time soothing ingredients like willow bark extract and camphor oil stop the infections caused by ingrown hairs before they have time to take hold. 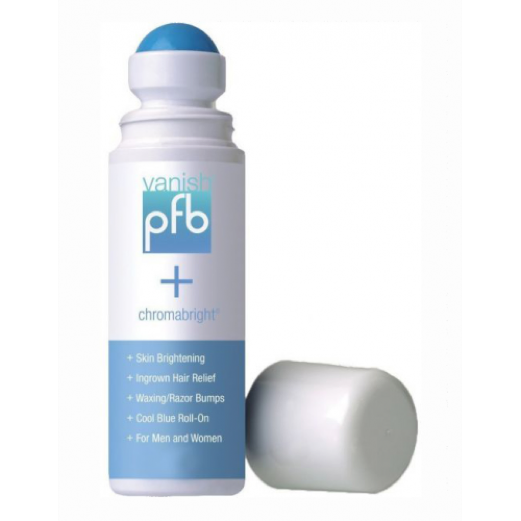 Our main product of choice from PFB Vanish is Chromabright. Developed by the innovative Dr. Mostafa Omar, the man who created a stable form of topical Vitamin C to be used in skincare, Phyto-C creates powerful skincare products using natural ingredients. They strive to create the most potent antioxidant formulations which result in skincare which is safe, effective and natural. Phyto-C has been awarded grants from the National Institutes of Health (NIH) and the National Cancer Institute (NCI), allowing them to continue their pursuit of finding the most potent natural ingredients to remove skin imperfections and restore skin’s radiance. The scientists at SENTÉ are on a mission to challenge the beliefs in the skincare industry and push the status quo. Driven by the sense of wonder that comes from scientific discovery, SENTÉ is rewriting the unspoken rules of skincare. They create dynamic products which are elegantly engineered to produce powerful anti-aging results for even the most sensitive skin. Their team of leading scientists believe that if innovations in skincare are to be achieved, they must dream fearlessly. 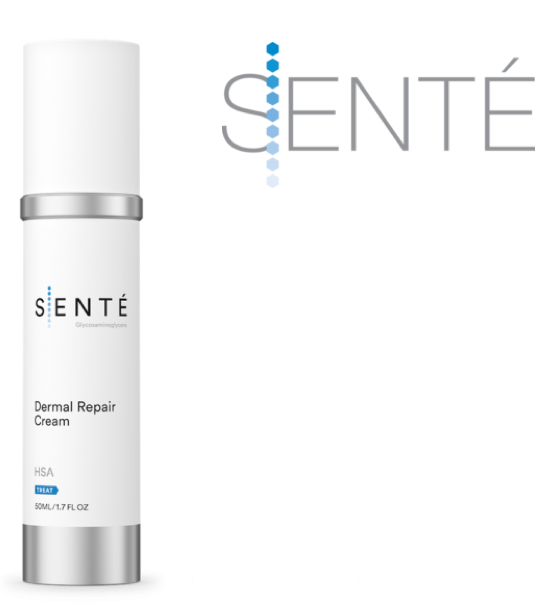 SENTÉ's patented Sulfated Glycosaminoglycan technology promotes rapid cell turnover to speed healing and reveal younger looking skin. Our two main products provided are Dermal Repair Cream and Illumine Eye Cream. 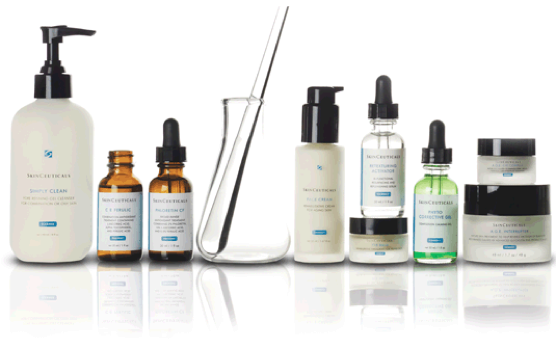 SkinCeuticals was created with one mission, to improve the health of your skin. Through partnerships with cellular and molecular biologists, chemists, medical doctors, and physicists, SkinCeuticals products are designed to repair the skin damage that leads to the visible signs of aging, protect your skin from environmental factors, and prevent the future damage from occurring. The SkinCeuticals line was preceded by decades of in-depth research in the field of skin cancer, and discoveries that led to the creation of formulas that could penetrate more deeply into the layers of the skin. Everyone deserves to have truly radiant skin. This is the philosophy of the scientists who created SkinMedica. The SkinMedica line of products works with your skin’s natural ability to heal to enhance and reveal its true beauty. With nearly two decades of research, SkinMedica produces advanced skincare products which can be turned into a personalized regimen created by you and your physician specially to meet your skincare needs. Rather than seeking a quick fix, SkinMedica provides formulas which are designed to promote the long-term health of your skin. You may not be able to turn back time, but with SkinMedica, you can begin to restore a refreshed, youthful glow. Created by the man behind the famed Obagi line of skincare, Dr. Zein Obagi used his extensive clinical experience to develop ZO Skin Health. Through the use of cutting-edge science, Dr. Obagi designed a new line of products available exclusively to physicians and their patients. Dr. Obagi’s intense, at-home treatments awaken your skin and prepare it for in-office treatments. Skincare is a journey you should take with a physician who understands the science behind achieving and maintaining a healthy complexion. 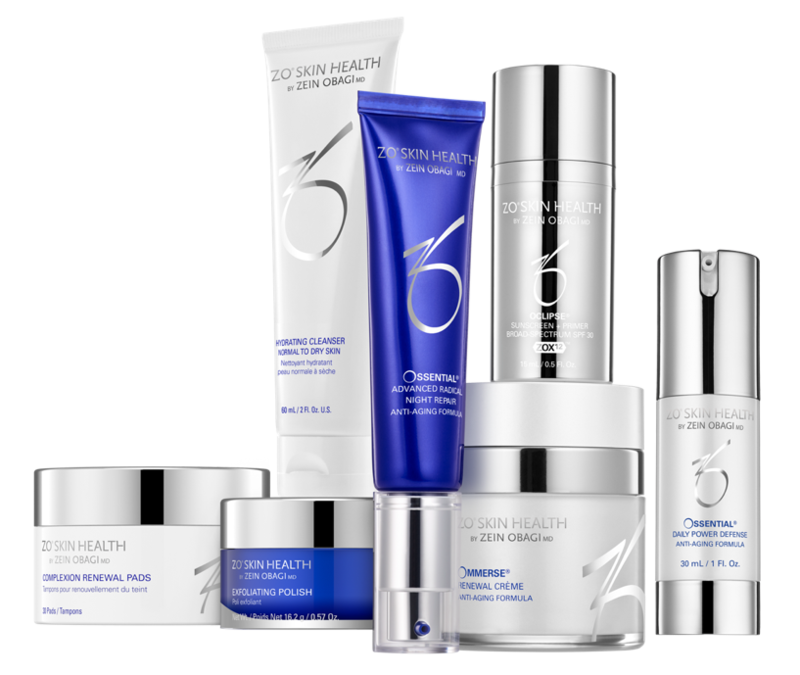 ZO Skin Health can help you achieve healthy, glowing skin. We are excited to bring our patients savings by participating in the Brilliant Distinctions rewards program. Learn more about the Silver, Gold, and Diamond membership tiers and rewards each have to offer. Click below to sign up!